While many of the items in this catalog section of our website are on display in our store and in stock, many items are only available by special order. Please contact us for availability and pricing information. Simple and stunning, the queen headboard and footboard bed delivers on both accounts. 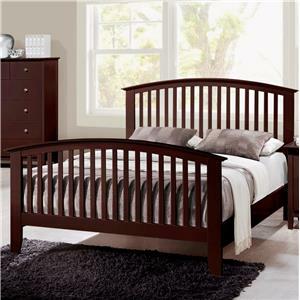 The simple slat design of the curved-top headboard and footboard combines with the tapered legs for an elegant design. Also available in king, twin, queen and California king sizes. 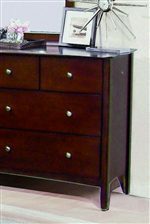 Complete your set with the matching night stand, chest, dresser, mirror and media chest. 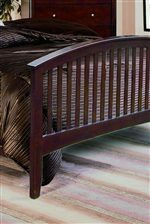 The Lawson Twin Slatted Headboard & Footboard Bed by Crown Mark is available in the Columbia, South Carolina area from Jeff Morris Furniture. B7550-FT-RAIL Full/twin Rail 1 76" 1.5" 5.8"
B7550-T-HBFB Twin Headboard, Footboard, and Slats 1 44.6" 2.4" 48"
Create a warm and welcoming bedroom set with the Lawson Group. This bedroom group features a casual style constructed of Asian hardwood and veneers with a medium espresso finish. The storage pieces feature wood on wood drawer guides with drawer stops, dust proof bottoms, English dovetail front and back drawers and pewter hardware. A slatted headboard and footboard with curved detail complement the bed. Lawson will make a nice and relaxing bedroom set for any home big or small. The Lawson collection is a great option if you are looking for Casual furniture in the Columbia, South Carolina area. Finish Medium espresso or white finish. Handles & Hardware Pewter hardware	knobs. Case Detail Slatted headboard, footboard & mirror. Drawer / Shelf Construction Dust proof bottom English dovetail front and back drawers. Drawer Suspension Wood on wood drawer guides with drawer stops. Case Construction Constructed of Asian hardwood and veneers. Browse other items in the Lawson collection from Jeff Morris Furniture in the Columbia, South Carolina area. Jeff Morris Furniture is the premier furniture store in the Columbia, South Carolina area. 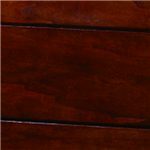 Jeff Morris Furniture offers high quality furniture at a low price to the Columbia, South Carolina area.